JB | all galleries >> Galleries >> The President's Cup 2005 > Nice Rolex. What time is it Phil? Nice Rolex. What time is it Phil? 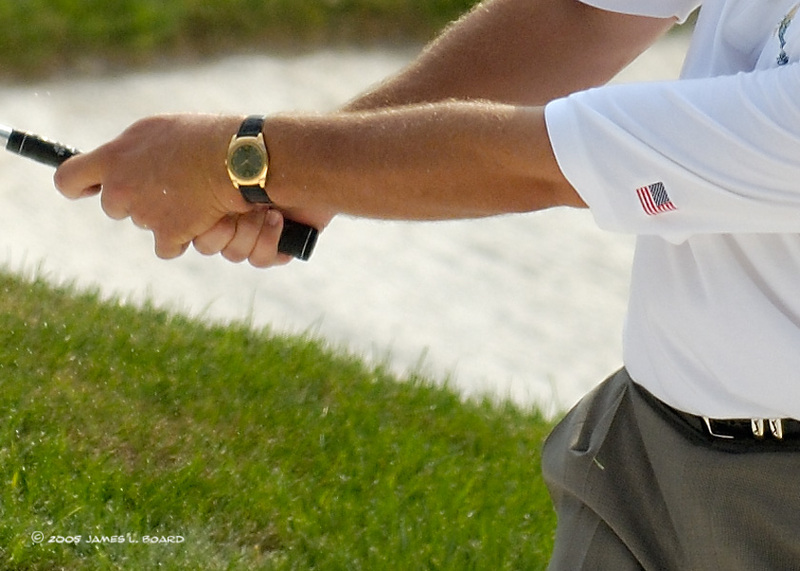 Beyond getting a good look at Phil Mickelson's grip, I found the detail in this photo amazing. The Nikon D2X and 70-200 f/2.8 AF-S VR lens, wide open no less, is an incredible combo. For best results on pbase view images "other sizes: original".